Sampling Partners are companies that can collect water samples for you, contract with a certified lab to test the samples for Legionella, enter your test results in LAMPS, and use LAMPS Analytics to help you interpret and apply test results. Becoming listed as an authorized HC Info Sampling Partner requires successful completion of e-Learning courses 401-404 (“Sampling Water Systems to Validate Legionella Control”) and experience setting up and using LAMPS Analytics. However, HC Info does not certify Sampling Partners or guarantee the quality of their work. 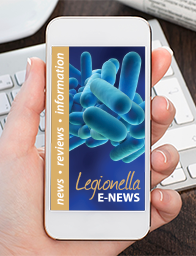 If you offer Legionella sampling services and have completed HC Info e-Learning courses 401-404, click here to fill out the Sampling Partner application.